Page 1: "Buy and read Phil and Carol White's Live Your RoadTrip Dream: Travel For a Year for the Cost of Staying Home, 2nd Editon" cover-to-cover and then get started planning your own personal adventure. The End." This new book is packed with more information and insider tips than you or I might find with a lifetime of searching the Web or going to the library. Live Your RoadTrip Dream is based upon the lessons learned during the one-year, 40,000-mile odyssey that the authors completed in June 2001. This new edition has been strengthened and enriched by the authors work and experiences since that first book was released in 2004. In the last few years, Carol and Phil have traveled extensively as part of their work as national spokespersons for RVIA (an RV trade organization), and they have been interviewed on television and radio dozens of times. New tips and suggestions that have arisen from all of their more recent adventures have found their way into this new and expanded second edition. Live Your Road Trip Dream is divided into two sections. The first section provides an excellent primer for those considering hitting the road for an extended road trip, although the lessons could just as easily be applied to any multi-month vacation. One of the best things about this section of the book is the incredible scope of things that are covered in the planning phase. 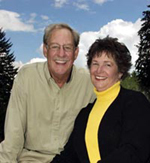 The authors provide guidance about budgeting income and expenses, determining a "theme" for the trip, arranging for bill paying for elderly relatives, banking options, all forms of insurance, investment arrangements, types of vehicles, clothing choices, how to say goodbye to friends and relatives, discount membership clubs, souvenir acquisition strategies, and dealing with all sorts of emergencies on the road. The only criticism I have of Live Your Road Trip Dream is the limited scope of the discussion about creating Web sites as personal journals when on the road. Free blogging software and mapping utilities have made blogs easily available and relatively simple to learn to use. Perhaps the next edition will include more about the burgeoning number of rapidly evolving electronic journaling options that are perfect for road trippers. For me, the most valuable element of the first section of the book is not the specific advice for a huge list of conditions, or even the detailed worksheets and checklists they created for planning and living on the road. Rather it is their open-eyed approach to anticipating and resolving whatever would or could happen to them on the road. It is an approach that every would-be road tripper should seriously consider adopting. The second part of the book is more of a travelogue of the authors' actual on-the-road experiences starting with some tips about embarking on a "trial run" (in advance of the "official launch"), visits to national parks, football stadiums, national monuments and locations full of local charm. I liked their characterization of Mackinac Island, Michigan, as being "
the smell of horse manure mixed with fudge," and their gentle criticism of the somewhat snooty rules enforced against RVers in Sea Pines, South Carolina. Their adventures in obtaining medical care as they traveled echoed my own experiences, and the folksy style of their narrative provides an easy armchair travel experience. One of the "gifts" that an extended road trip bestows upon the traveler is firsthand knowledge of hundreds of places around North America. It is great fun to be able to speak with some degree of familiarity about the farflung "home towns" of people you meet. As the Whites write, "After taking a trip like this, you will never again be at a loss for something to talk about." Reading this book will give you the tools for earning those same credentials. We recommend you read it (click here to read an excerpt from the first edition) and begin planning your own road trip!